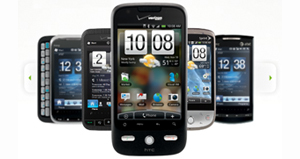 HTC is quickly becoming one of the top handset makers on the market with devices like the Hero and the HD2. From their hardware to software UIs all the way to their advertising, it seems HTC is really at the top of its game. As we’re headed towards the holidays, it seems their alleged lineup for the first half of 2010 has been leaked and it couldn’t look more promising. All three devices HTC has lined up to run Windows Mobile will house version 6.5. Strangely enough, they’ve categorized these three devices separate from their Android counterparts under the ‘Productivity’ category (aka business centric). The HTC Photon sports a 3.2-inch capacitive touchscreen with 5 megapixel camera with autofocus, microSD slot GPS and a 1300 mAh battery. 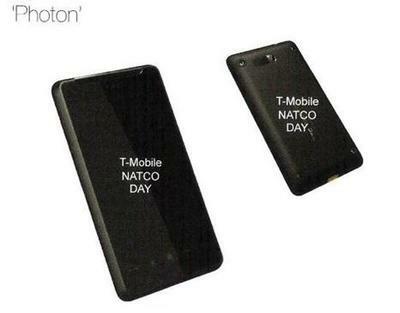 The Photon should be coming this May. 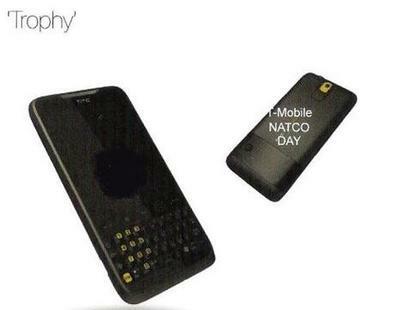 The HTC Trophy will have a 3-inch capacitive touchscreen with full QWERTY keyboard, a 5 megapixel camera with autofocus, microSD slot, and 1400 mAh battery. Marry the Blackberry and Palm Pixi and you’ve got the HTC Trophy. Expect to see the Trophy sometime in May. 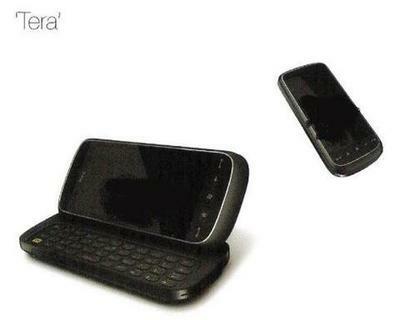 The HTC Tera’s got a 3-inch resistive touchscreen, 3.2 megapixel camera, microSD slot, and a 1300 mAh battery. 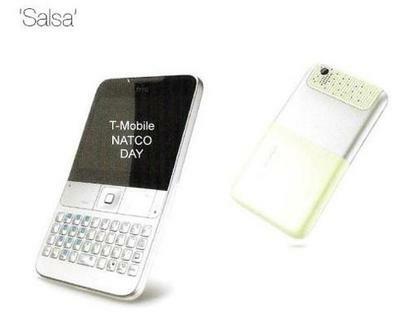 The device resembles Nokia’s slider smartphones with a slanted screen slider. Tera is scheduled to be released this coming April. 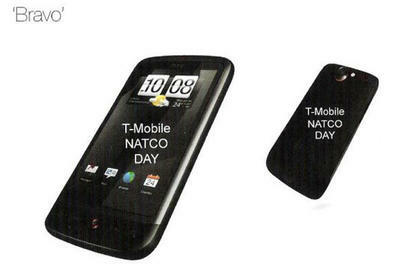 The HTC Legend is clearly the evolution of the current HTC Hero. Sporting a 3.2-inch capacitive touchscreen with a 5 megapixel auto focus camera. The Legend will have an optical track ball with 1300 mAh battery. Although it’s hard to make out from the picture, it looks like the chin present in the European version of the Hero is back. 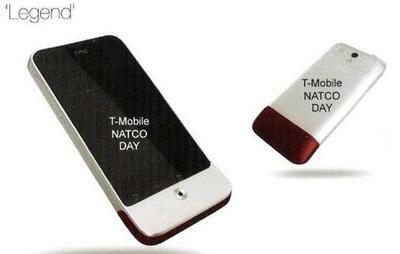 The Legend should be the first of these devices coming as soon as March. 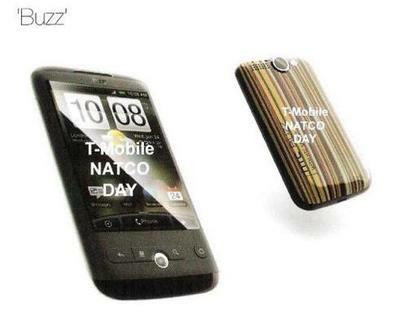 The HTC Salsa has a QWERTY keyboard with 2.6-inch landscape touchscreen and 3.2 megapixel camera. With a small 1100 mAh battery, HTC specs the Salsa at only 8.5 mm thick. 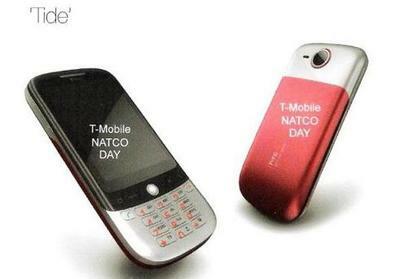 The outer shell has a silver shine and looks to be targeted to female consumers. The Salsa is supposed to hit the market come June. The HTC Bravo has long been rumored as the Dragon, essentially the HD2 running Android instead of Windows Mobile. With a massive 3.7-inch capacitive touchscreen powered by the 1GHz Snapdragon chipset and 1400 mAh battery, the Bravo will be the fastest Android handset on the market. Expect it in April of 2010. The HTC Tide will be the only of HTC’s devices with the older numerical keypad. Above the keypad, the Tide’s got a 2.6-inch touchscreen and 3.2 megapixel autofocus camera. Look for the Tide in April. The HTC Buzz is most similar to the Legend with a 3.2-inch capacitive touchscreen with a 5 megapixel autofocus camera with flash. With about half as much power as the Bravo, the Buzz comes in with a 528MHz processor. The Buzz is scheduled for May. The leaked roadmap lists all the same network capabilities, so it’s unknown which device will be tied down to which network. The Trophy and Bravo seem incredibly promising, so keep your eye out. Will news of these devices make you reconsider your holiday wish list? Are you already looking to pick one of these up? Let us know in the comments.